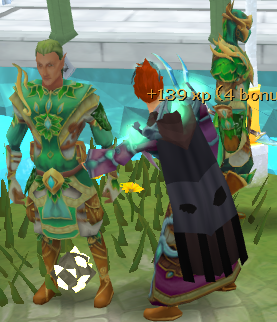 Prifddinas thieving is one of the best (but not the best) ways to train Thieving. You can get experience of about 300k experience per hour at 99 without bonus experience. 240k experience per hour will be more realistic while afking. You don't make too much from thieving these workers however just like any skill save the items up, and it adds up. The beauty of this style is that the skill becomes very afkable (similar to Seren Stone mining) and doesn't require a whole lot of attention. 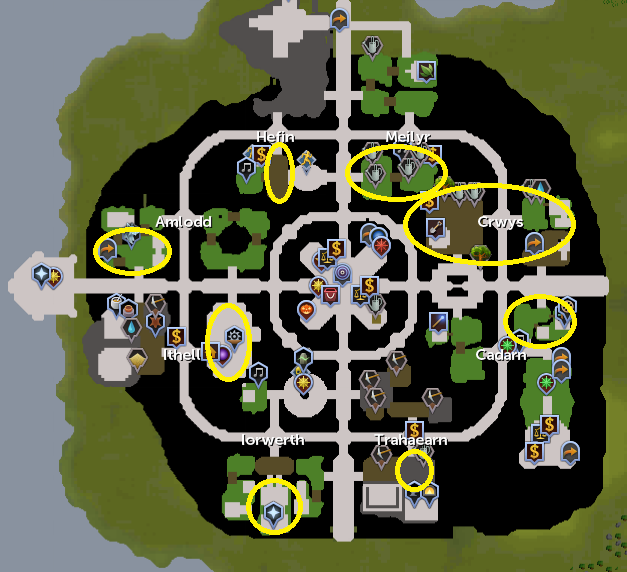 This guide is meant to give a person the knowledge of what to wear, where to pickpocket, where all the clans are, and finally good strategies for this style of training thieving. Please note you CANNOT do this style of thieving if you have not done Plague's End quest as Prifddinas is unlocked from doing the quest. Brawling Gloves (thieving) can be used instead of Gloves of Silence/Exoskeleton gloves however there is no effect just more experience! Ardougne cape 1 or 2 DO NOT help here as they are Ardougne specific. ONLY 3 AND 4 can help. 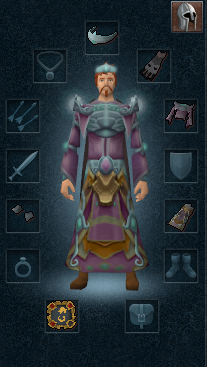 If you have a Completionist cape it can be used instead of the Ardougne cape. Familiar advice: If you use an abyssal lurker (with it's special using a scroll) you can thieve the workers here at 87. However, I personally don't suggest this either. If you are going for maximum effect though even at 99: I do suggest using lurker cause you can tell a slight difference at 99. Start off with any of the clans which is currently blessed by the Voice of Seren and move in a circular fashion across all clans, the 20 minute reset timer usually would have passed the moment you get back to the first clan. This is to maximize experience/per hour and to maximize thieving in the clans blessed by the Voice as much as possible.